There’s a new breed of Wednesday 13 in town – a darker, heavier being that finds its roots in true crime alongside the band’s notoriously tongue-in-cheek signature. 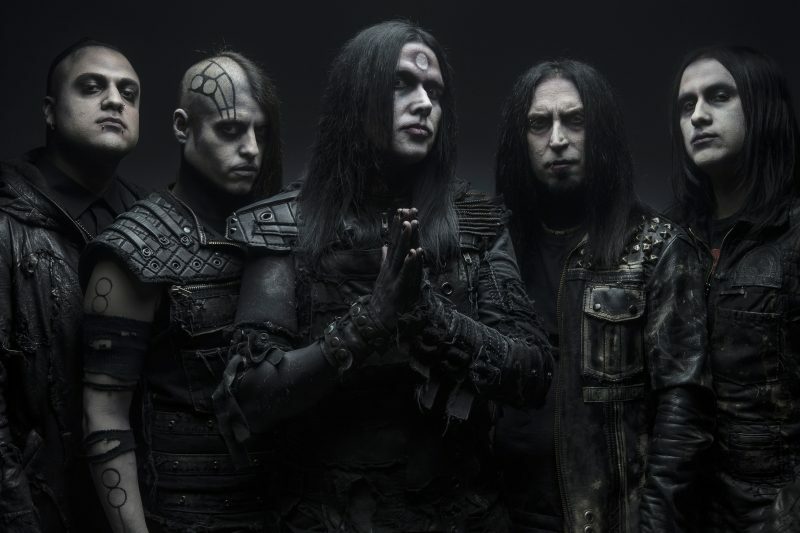 Iconic frontman Wednesday 13 speaks to Rock Sins on the finer aspects of ‘Condolences’, the drive behind his 27 years in music and what to expect from his headline set at this year’s Download Festival. With six Wednesday 13 albums under his belt exploring musical horror in the only macabre way as he knows how, Wednesday knows a thing or two about the genre – but if new album ‘Condolences’ were a horror movie, which terrifying tale would it be? Perhaps the most memorable aspect of Wednesday 13’s output is his lyrical content – punchy, contagious and always piled with menace. After all these years, how does Wednesday manage to keep up the scare factor? 20 years down the line, Wednesday 13 is still taking himself as seriously as he possibly can. In a world of bleak news and dark futures, fans can take comfort in the knowledge that Wednesday 13’s signature comedy won’t change with it. Renowned album cover artist Travis Smith (Avenged Sevenfold’s ‘Nightmare’ and Opeth’s ‘Sorceress’) collaborated with Wednesday to create the visuals for ‘Condolences’, a far cry from Wednesday 13’s trademark horror movie posters yet expertly holding his morbid personality in its skeletal fingers. Visual differences aside, ’Condolences’ also welcomes a darker instrumental to the Wednesday ethos, a grittier metal approach than the previously reckless punk label the band were rather subconsciously given. Releasing this seventh album via Nuclear Blast, you’d be forgiven for thinking Wednesday 13 has taken a step back from the hectic album cycle. While genres, art and labels change, Wednesday 13 remains the last man standing from the band’s first guise. That said, ‘Condolences’ has an air of completion about it, a band at peace with their style and ready to share it with their long-standing fan base. The soaring solos of axeman Roman Surman through the likes of ‘Omen Amen’ stand to prove that the current Wednesday 13 is a comfortable fit. Outlasting the gothic and punk waves of the 1990s, Wednesday 13 has stood the test of time, but is there an end in sight for the horror kids? Not in the slightest. Fifteen years since ‘Beyond the Valley of the Murderdolls’ in 2002, Wednesday’s journey into the morbid began with a tentative step into the unknown. Surrounded by bands exploring their genre’s boundaries with a varied success rate, luckily for us Wednesday’s winning formula hasn’t changed. With such an extensive back catalogue after years of relentless hard work, however, Wednesday applauds new fans who have a lot of material to take in. With Download Festival in sight as he is due to headline the Dogtooth Stage on Saturday night, Wednesday has a few tricks up his velvet sleeves. Creating an entertaining and encompassing setlists can be a nightmare for a band as persistently active as Wednesday 13, but there’s no guessing what will feature in Download’s set. Horror-based bands have usually seen their fair share of sights in the crowd. Does Wednesday have any revelations over his illustrious career on stage? ‘Condolences’ is available Friday 2nd June via Nuclear Blast, pre-order bundles can be found on the Nuclear Blast website. Catch Wednesday 13 headlining Download Festival’s Dogtooth Stage on Saturday 10th June – tickets and further information are over at the official Download website. Resident goth, metal historian and walking thesaurus.